LARGE size 24"x 18" inches This is a recreation of a piece which was already sold. 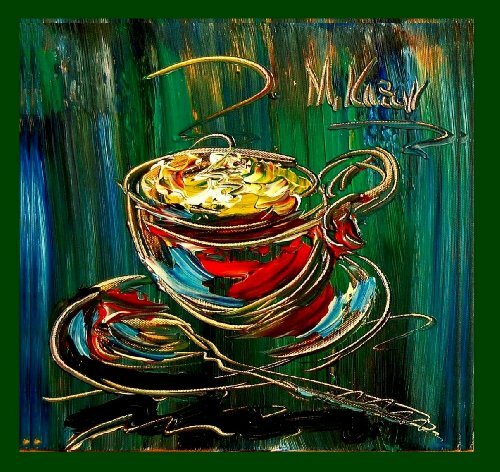 The recreation is 100% hand painted by Mark Kazav using oil paint, canvas and palette knife. Its not an identical copy , its a recreation of an old subject. This recreation will have texture unique just to this painting, a fingerprint that can never be repeated. My recreation will look similar but will have different texture, each knife stroke is unique and impossible to repeat. Each painting I create is one of a kind. The recreation has a very high gallery value of thousands of dollars just like the first originally created painting. Investing into recreations is worthwhile just like investing into original work. Any painting with Kazav signature is sold for thousands of dollars in a retail gallery no matter if it was the first or second version. Gallery Estimated Value : $2,500 Signed by the artist, Certificate of Authenticity with the value provided. Each certificate of authenticity will include the name of the owner who purchased the piece of artwork. The certificate is signed by Mark Kazav. If you buying this painting as a gift, please provide us the name of the gift recipient for the Certificate. We can also ship to the address of the recipient of your gift. The painting is shipped stretched and ready to hang with sides painted to USA, Canada.